These days I’m celebrating 25 years as a racing driver. 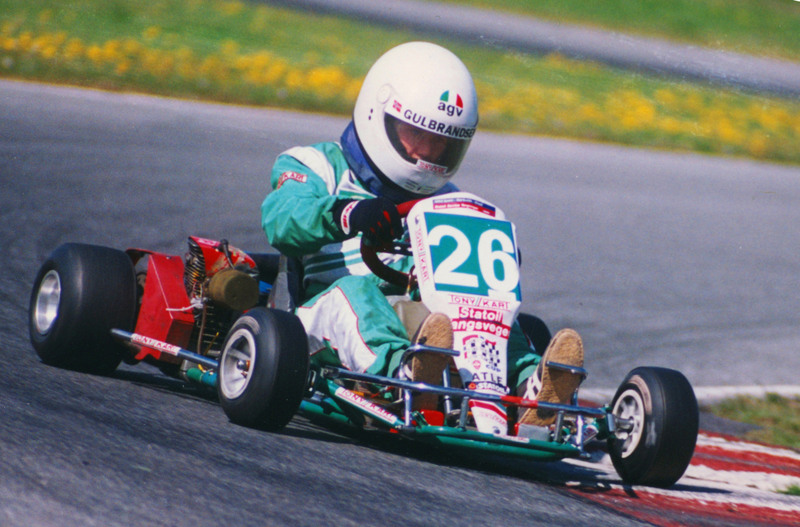 When I started with karting at my local track in Snertingdal in 1992 as a 12-year old, I could never imagine that I would still be racing 25 years, more than 160 races, dozens of victories, pole positions, fastest laps and a Norwegian championship title later. In an international context, my career is not remarkable at all, but I’m the only Norwegian from the generation that started with karting around 25 years ago who is still racing internationally. So why me? I think it’s a combination of an enormous will to be a racing driver and luck. And I have to admit that I’m a little proud. When I had to start completely from scratch again as a 21 year old, after running out of money early in my career, I set myself two goals; I wanted to drive on a relatively high international level without having to pay for it and I wanted to win a title I could be proud of. I have now been a semiprofessional racing driver for more than twelve years and in 2007 I became a Norwegian racing champion. Could I have done better? Yes, probably, and I feel I’ve proven that I have the speed needed to do well in GT3, for example, but I’ve never got the opportunity. But life is a box of chocolates, as Forrest Gump said, and I have to admit that I have come much further than I dared to hope for when I was younger. Today I put family first, and I’m very happy with my 5-6 races with Møller Bil Motorsport in the German VLN-Championship each season. And I am forever grateful to all who have helped me over the years; from my father who introduced me to motorsports, friends and family, all my sponsors, my team mates and last, but not least; everyone in Møller Bil Motorsport, who has become like family to me. So how do I celebrate? Well, I did some karting to get back to the roots yesterday and I have made this video with some footage from my career. Here it is, 25 years in six minutes. Enjoy!